IF THE APPROVAL NUMBER IS NOT STATED THEN THEY ARE NOT APPROVED !! THEY ARE SUPERIOR QUALITY AND COME WITH 6 MONTHS WARRANTY AGAINST DELAMINATION (REFUND OR REPLACE). WE HAVE BULK PURCHASED THESE ITEMS AND ARE THEREFORE ABLE TO SUPPLY AT UNBEATABLE PRICES. THIS KIT IS IDEAL FOR SERVICING AND REPLACING THE BRAKES ON ONE COMPLETE AXLE (BOTH SIDES) OR 2 SEPARATE SUSPENSION UNITS. 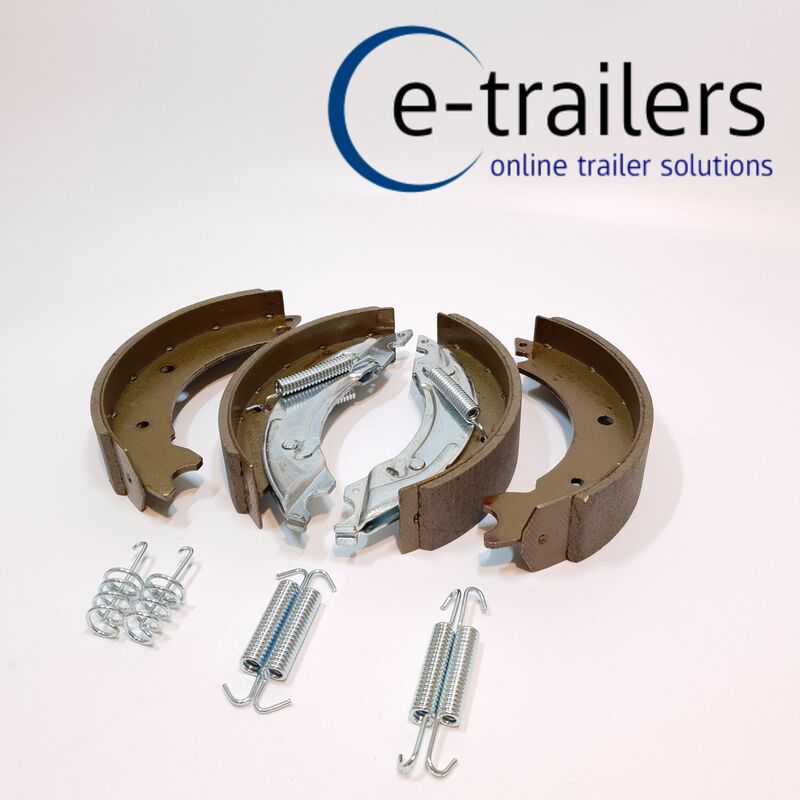 DON'T WORRY IF NOT THIS SIZE AS WE HAVE ALL THE BRAKE SHOES IN ALL SIZES SO JUST CALL US TO DISCUSS YOUR REQUIREMENTS. REMEMBER TO ALWAYS BALANCE YOUR BRAKES AND ENSURE EVEN WEAR, IT IS ALWAYS BEST TO CLEAN OUT THE DRUM AND HUB AREA AND REPLACE BOTH SETS OF BRAKE SHOES AT THE SAME TIME.